If you are a human resources professional responsible for sourcing top talent for your company, it can be awfully draining. Screening resumes is, without a doubt, one of the worst parts of the job. However, there are some techniques you can use to make your job easier and help you find the best candidate for the job with far less aggravation. Here are some resume screening tips from the experts to help you find the best fit for any opening. In order to be able to efficiently screen resumes, you need to be specific with job requirements. Many job-seekers will apply to any posting they see without regard to whether or not they actually have mastery of the skills. It is harder for these applicants to do that when they see a very specific, niche requirement. For instance, anyone will apply to a posting that requires technical skills. However, not many will feel comfortable applying for a job that requires a certificate from an advanced management program and at least 5+ years developing business analytics software as a team leader of 10+ employees. Keep your requirements specific, but do not be afraid to interview an applicant that may not exactly match them. When online job posting boards first came onto the scene, keywords became the industry trend to help narrow down incredible large applicant pools. However, the industry has since learned that this method is not all that effective. To find the best talent, look beyond the keywords. Focus on the candidate’s previous responsibilities. See if they have invested in making their resume stand either with strong attention to detail or by hiring a CV editing service. 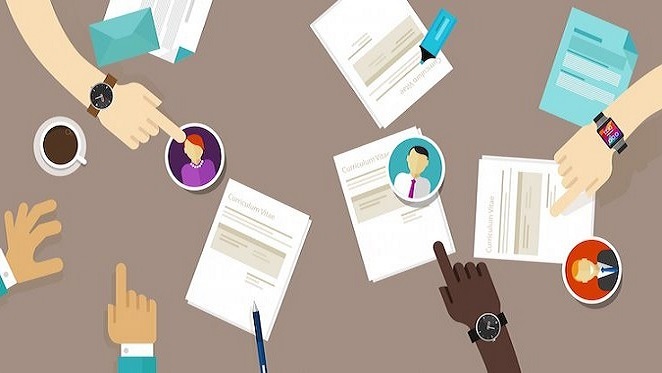 Keywords tell you that the candidate is able to optimize their resume, prior responsibilities tell you whether the candidate is a good fit for the company. It is definitely time to ditch the resume keywords technique. Obviously you should be paying close attention to an applicant’s job history. However, too few hiring managers and recruiters remember to steer clear from extreme patterns of employment. If you see a ton of previous jobs where the applicant only worked for a short time, this is a red flag. On the other end of the spectrum, an employee leaving a job they have had for years and years may bring up questions as well. Just be sure to pay close attention to previous employment length. This is crucial for an effective resume screening process, whether you are looking for someone to develop project management apps or answer the phones. Many HR professionals forget this and to be honest, they are making a big mistake. Be sure to pay attention to the applicant’s writing ability. In the professional world, half of all the communication a worker will do will be written. It is important for a potential candidate to be able to effectively communicate with written word. When doing recruitment online, make sure that they meet simple grammar and spelling benchmarks to ensure that they are able to write professional communications for the job. If you really want to be able to quickly find the best candidate for a job, take a unique approach to your job posting. This can be done by adding an unexpected question to the job application. It can be whatever you like, but make sure it gives you an idea of who the candidate is as a person. This will also help you with making sure that the candidate’s writing skills are up to par. Asking a unique question on the job application will allow you to quickly identify candidates that stand out, making your job a lot easier. Using these tips and your current resume screening techniques, devise a standardized process. Having a resume screening process in place will help you to get the task done much more efficiently. Using time management software and being prepared is the first step to finding top talent quickly, and having a process in place is the best way to ensure you are always prepared. Once you find a process that works, be sure to keep optimizing it until it is flawless. This extra work will pay off tenfold for the rest of your career. If you are assigned the task of filling open positions in your company quickly and effectively, this post should help you do just that. Just be sure to offer employee wellness programs after hiring to retain employees for the long haul. Use these tips to create your own resume screening process and let us know how it works for you in the comments below.